Ace has everything you could possibly need to make your event magical. We have an array of different props and posters available to theme your event to get an authentic Casino feel. 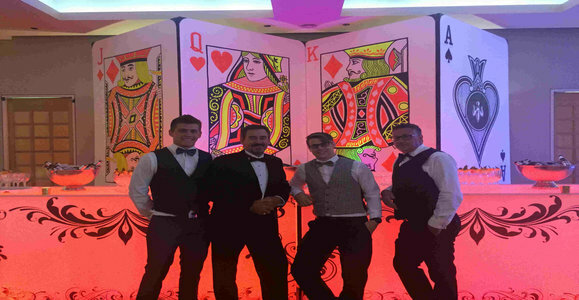 If you want to recreate the elegance of James Bond at your casino event, Ace can help. Baccarat and roulette are a must, enhanced with event décor and lighting, all finished off with our dashing croupiers in black tie, you can’t go wrong with this winning combination. 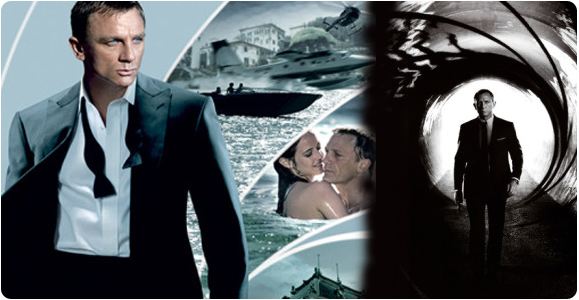 We have a collection of posters to choose from for all your 007 needs. All posters are 960mmX610mm. 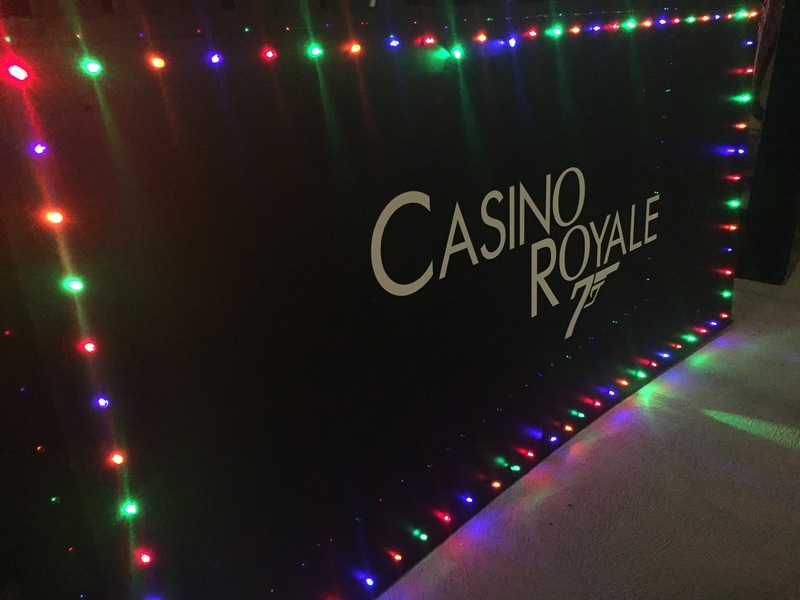 A range of different light up 007 signs to give that Hollywood feel to your event. 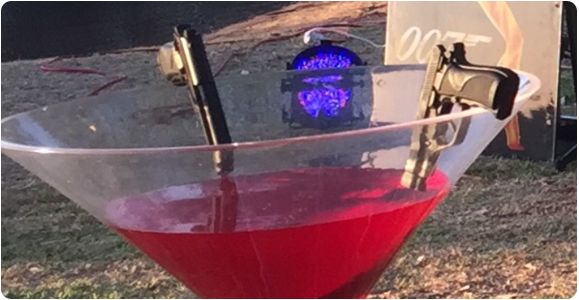 Our Giant Martini glass is definitely a moment to capture in your next event. Usually "shaken not stirred" you can keep them empty or even poor some red cordial in and let the hilarious pictures roll in. If you’re looking to deliver the energy, excitement and shear bling of Las Vegas for your guests, we can help with that too! 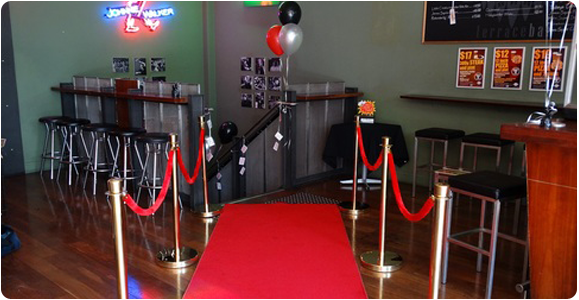 Red or pink carpets, stanchions to guide your VIPs into the event, larger than life props and lights, sparkling croupiers, yours will be an event to remember. Everyone loves to walk the red carpet and with Ace you can get that affect in traditional red or if you are having a Platinum Pink Casino Night our Pink Carpet is a perfect match to our Pink Selection of tables. 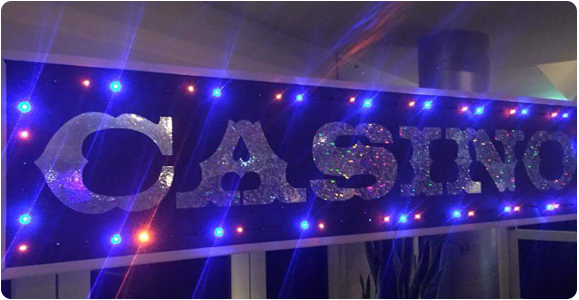 Our Casino Signs that literally spell the word out for you really set the atmosphere of the night. They are custom made and you can choose from wall mountable to stand models for any occasion. As simple as plucking a few Aces around the place can really jazz up and event. And what better to have giant Ace Cards at your next Ace Fun Casino Night! 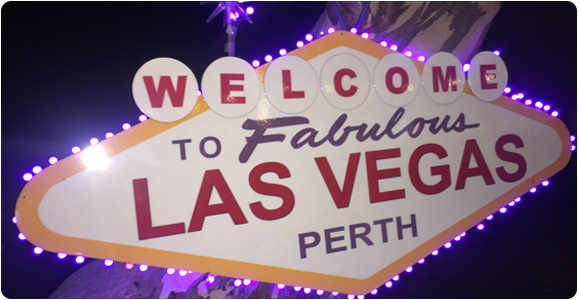 Bring the lights and glamour of Vegas to your casino night with one of our Vegas Signs. 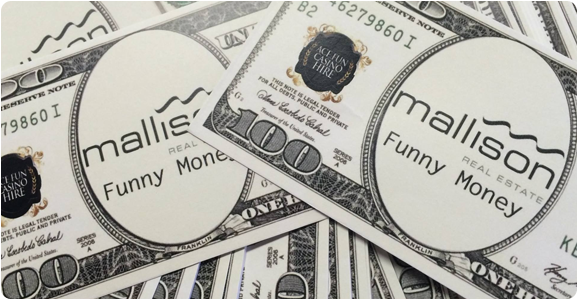 At Ace we provide our own funny money free with every event, but if you are looking for a more personalized touch we can make some of your very own custom money. Based on an American $100 bill with the Ace logo, you can add your own business logo, photo and wording, a fun idea for corporate events and birthday parties. Other currencies and denominations are available, enquire now if you could like to see these at your next event.